General Motors appears to be in the hot seat this week, with all kinds of craziness going on. I know everyone and their mother has chimed in on this story. So I though one more take couldn’t hurt. By now, you know the deal. GM has issued a recall that affects 1.3 million vehicles. The problem – The vehicle could experience a sudden loss of electric power steering assistance. In the event of a power steering loss, the car will revert to manual steering. The steering can be maintained, but it will require greater effort from the driver at low speeds. The recall came one day before the CEO is expected to testify before Congress about how GM handled a separate recall, which affected 2.2 million U.S. vehicles, for an ignition switch problem that has been linked to 13 deaths. The defective switch caused vehicle engines to turn off, disabling the air bags. Federal regulators declined to investigate the faulty ignition switches in GM cars twice before, even though one official found “a pattern” of problems, according to a new congressional report. Documents filed with NHTSA indicate the company knew about the problem as early as 2001. 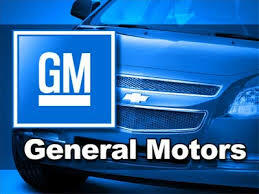 Already under fire for lengthy delays in recalling the vehicles, the report also accused GM of allowing the defective part to be installed in millions of vehicles after testing showed it did not meet the company’s own specifications. Wow. Although the most recent recall is for a separate issue, some of the affected cars overlap, including the Saturn Ion, Chevrolet HHR, and the Cobalt. Repairs for vehicles included in both the power steering and ignition switch may require separate dealership visits, depending on parts availability. Again, wow – how convenient for their owners. 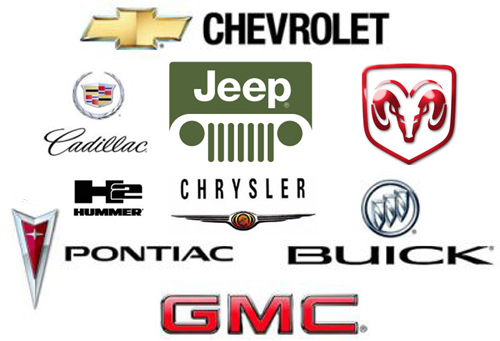 All of this hype is overshadowing yet two more GM recalls announced this week. Approximately 500,000 late model pickup trucks and large sport-utility vehicles are being recalled to fix a potential oil leak. 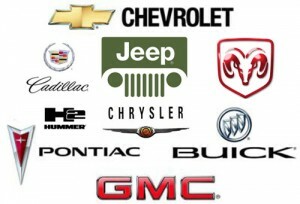 The truck recall includes 490,200 2014 Chevrolet Silverado 1500 and GMC Sierra 1500 pickups, and 2015 Chevrolet Suburban and Tahoe and GMC Yukon and Yukon XL SUVs equipped with a 6-speed automatic transmission. According to GM, some of the vehicles may have a transmission oil cooler line that is not securely seated in its fitting. This could cause a transmission oil leak that could lead to a fire. Three such incidents have been reported, but thankfully no injuries. Also announced, GM is recalling about 172,000 Chevrolet Cruzes equipped with 1.4 liter turbocharged gasoline engines to replace a right front axle half shaft that can fracture and separate without warning during normal driving. The cars are from the 2013 and 2014 model years. If the part breaks while the vehicle is in operation, a driver would be able to maintain control over the vehicle but it would lose power to the wheels and would coast to a stop. If it breaks when the car is parked on a hill, it could cause the vehicle to coast into another car or object and could injure pedestrians. The car company knows of “several dozen” fractures from warranty data, though it is unaware of any crashes or injuries related to this condition. With this last recall, approximately 6.1 million vehicles have been recalled by GM since February. So it goes with big companies in America. People are writing tons of hindsight articles about the GM culture and how it led us to this point. I read a piece in the Washington Post with this angle just last night. Maybe so. But to pretend that this is a GM specific problem is not only foolish, it is dangerous. I don’t think there is a single drug company in the United States today that does not have a substantially similar culture of putting profits over people. I’ve warned about this before. People who claim that a whole group of people are stupid or evil usually get shouted down because, almost invariably, it is a flawed generalization that is only partially true or, as often is the case, entirely false. I’ve defended large drug companies. I have met some very nice executives at these companies, decent people that care about other humans and the world around them. Yet they made decisions with respect to patient safety that I think showed a reckless disregard for human safety. Are people who go into this business just mean and uncaring people? I think they are as proportionately evil as any other profession or any other industry, including law and medicine. Yet there is a culture there that leads people to ignore safety because they are virtually brainwashed that the world revolves around profits. Malcolm Gladwell talks about how we tend to group people as “good guys” or “liars” as if the character trait covers everything a person does. The real world is more complex. Some people are evil at work and are loving parents and members of the community. Others cheat incessantly on their spouses, mistreat their children, yet perform honorably at work every day. The world can be a complicated place. But one thing I’m sure of that I wish the rest of the world would pay closer attention to because people are dying: big companies in America with few exceptions consistently put making money over patient safety.